Hong Kong - Fabio Cannavaro's short reign as China coach could already be over after the hosts were beaten for the second time in five days on Monday and again failed to score. 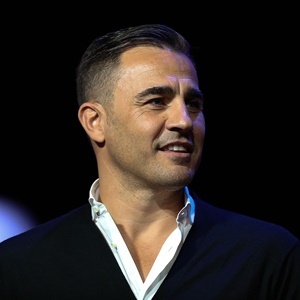 Former Juventus and Real Madrid star Fabio Cannavaro, who is also coach at Guangzhou Evergrande, said afterwards that he would hold talks with the Chinese Football Association (CFA) and the Chinese Super League (CSL) club. Juggling a top CSL job and the national side "is difficult", Cannavaro admitted, after another meek defeat that left China - who have grand ambitions to host a World Cup and become a major footballing force - bottom of the four sides in the China Cup. Cannavaro made five changes to the side lucky to lose by just one goal to Thailand last week, but it only made China - missing the rested Espanyol forward Wu Lei - less effective.